Virginia's colleges and universities stand to gain state money under the governor's proposed budget, a welcome reversal from several years of funding decreases. The State Council of Higher Education for Virginia on Tuesday outlined Gov. Bob McDonnell's two-year spending plan in which he recommends that the General Assembly appropriate $250.3 million in higher-ed funding. The council's finance policy director, Dan Hix, said the proposal reverses a five-year trend of decreased state support. SCHEV director Peter Blake said the breakdown varies in some areas from what the council had recommended to the governor but “lays a good foundation” on which to build during the upcoming legislative session. Hix told the council the $200 million in new money includes $51 million to increase base funding for schools' operational costs, significantly lower than the $153.7 million SCHEV previously had recommended. McDonnell's budget also includes $40.8 million for incentives to reward schools' efforts to increase graduation, especially majors in science, technology, engineering and mathematics, and those in underrepresented groups. It also provides $5.1 million in annual incentives to increase retention, graduation, STEM majors and economic development. The funding proposal supports the provisions of higher-ed restructuring legislation that passed last year, which includes a push to increase the number of degrees attained by Virginia students and to promote the pursuit of STEM careers. The budget includes $6.4 million per year for need-based undergraduate financial aid, and Hix said the 4.5 percent bump is a welcome increase. McDonnell also proposed $5.8 million annually to increase the maximum tuition-assistance grant amount by $100 to $2,750, slightly lower than SCHEV recommended. 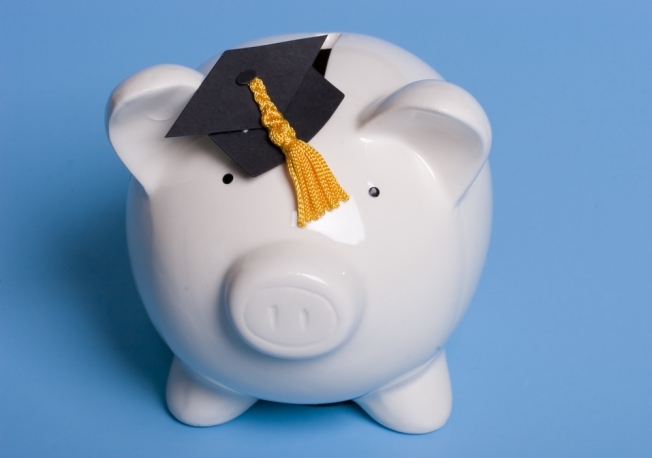 The TAG program helps cover the cost of private college for in-state students. No funding was proposed, however, for graduate student financial aid. SCHEV had recommended $10.7 million over the biennium. McDonnell also didn't include money for faculty salary increases. The agency had recommended 2 percent raises. Instead of facing cuts, institutions are expected to reallocate 3 percent of state appropriations to programs that advance the objectives of the higher-ed legislation in the fiscal year that starts July 1, or $34.7 million, and 5 percent, or $57.8 million, in the following fiscal year. The governor also is recommending that the state phase out funding, about $308,000 over three years, for the Virginia Women's Institute of Leadership. The female cadet program at Mary Baldwin College in Staunton was established in the early 1990s as Virginia Military Institute's all-male status came under legal challenge. Specific operating appropriations include $5 million per year to fund a consortium of several universities that would contract with private companies for bioscience research; $3.6 million per year for Eastern Virginia Medical School and $2 million per year to support non-credit coursework at Virginia Community College System institutions that support workforce development.